An invasive pest from Asia is killing thousands of trees in Southern California, which may lead to the death of thousands of humans, reported Adam Rogers on Wired.com. Polyphagous shot hole borer females drill holes inside trees to lay their eggs. In the process, they deposit a fungus that grows and provides food for larvae. The fungus gums up the trees' channels for water and nutrient transport, eventually killing it. Called Fusarium dieback, the condition is on track to kill 26.8 million trees across Southern California in the next few years. With data from a U.S. Forest Services study, which found that fewer trees is related to respiratory and cardiovascular disease deaths in people, the reporter underscored the dire human-health implications of polyphagous shot hole borer. 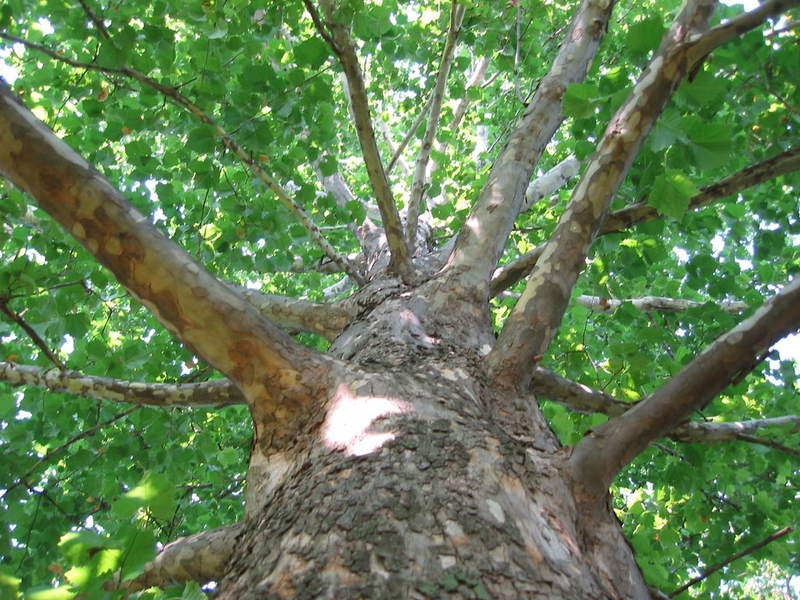 Sycamore trees are particularly susceptible to the ravages of polyphagous shot hole borer. These majestic trees provide shade, clean the air, and protect water - valuable ecosystem services that are lost when a pest kills the tree. Trees also provide valuable "ecosystem services," such as reducing light and heat intensity, protecting water, cleaning the air of pollutants, providing wildlife habitat and storing carbon. The forest service combined satellite data and field plot data to calculate the costs and benefits of trees. The potential loss of ecosystem services because of polyphagous shot hole borer is $1.4 billion, not including the public health cost. Kabashima and other scientists are identifying infected trees to cut them down and chip the wood to prevent further spread. The tell-tale signs are little holes and sugar volcanoes that tend to show up first on the north side of the trunk or limb. "You have to get out and walk around each tree, which we're doing in Orange County parks," Kabashima said. "We go out on off-road Segways. We can cover square miles in a day."